Set to Awesome Mixtape 2, the Guardians are pursued by the Sovereign race and encounter Quill’s father in the process. While not quite as good as the first, it’s still better than ninety-nine percent of the films out there. In 3D, the special effects just pop off the screen. It is a colorful spectacle. The humor is there in droves. Set to ELO’s Mr. Blue Sky, the first scene is priceless. Rocket and Drax have some great lines, although Baby Groot often steals the show. The acting is great and the characters all share equal film time. Yondu has a major role, as does Gamora’s sister, Nebula. Kurt Russell rocks. (He and Vin Diesel are in two billion dollar grossing movies this spring. Furious 8 is already over a billion and no way this one won’t follow suit.) There’s a promise to come of more Sylvester Stallone, and Mantis now joins the Guardians. This one goes a little deeper with the emotional heartstrings and surprises you along the way. There are many teaser endings! Stay until the very, very end. 1. Frosty the Snowman – 1969 animation. Snowman comes to life via a magic hat and goes in search of Santa. Snowmen with legs, creepy! Not to mention kidnapping. There is no yeti! Oh, really???? 3. The Falcon and the Snowman – 1985 with Sean Penn – A spy movie involving two friends and secrets fed to Russia. Treason as a way to solve the problem of crooked politicians? Don’t see it! 4. Jack Frost - 1997 American horror comedy film – Jack Frost is headed for execution but runs into some genetic material that turns him into a Snowman! He goes on a killing spree. Can you say yuck!!!! OMG, and there’s a sequel!! 5. Jack Frost – 1998 with Michael Keaton. A father dies and comes back as a Snowman. Does not make up for killing Bambi’s mother. Creep factor – maximum! 6. Snowmen –2011 with Christopher Lloyd – Youngsters fight the bullies and try to make a name for themselves by building the most snowmen in one day. News flash: snowmen don’t last forever. Mourning the loss of his pet he creates a snowman and a snowdog. Snowdog = cute. Flying snowmen, why? 8. Deadly Descent: The Abominable Snowman (2013) Skiing for your life to get away from the killer Snowmen! Okay – how bad can it get? As bad as you imagine. 9. Harry & Snowman - 2016 An Amish plow horse is rescued from the glue factory and wins the Triple Crown. This is a Snowman Story that won my heart! No snark! 10. The Snowman – 2017 Author Jo Nesbo beat me to the punch. His crime drama is now a movie hitting the big screen this October! Thanks, Alex, for allowing me to visit during The Snowman tour. There is a tour-wide giveaway HERE. Dunkirk is set for release on July 21st 2017 and features a cast that includes Nolan regulars Tom Hardy and Cillian Murphy alongside Mark Rylance, Kenneth Branagh, Harry Styles, Aneurin Barnard, Jack Lowden, James D’Arcy, Barry Keoghan, Tom Glynn-Carney and newcomer Fionn Whitehead. The IWSG is now partnering with Reedsy on some upcoming events, and today, May 8, is a big one! Through the #IWriteBecause project, we want to raise awareness about the power of writing. Above all, writing is not just a vocation or a hobby; it’s one of the greatest ways to express our thoughts and get our message out. At Reedsy, we believe that every child, regardless of geography, gender or economics, should have access to education and the freedom to raise their voice and share their message with the world. That’s why, for every writer who shares their story, Reedsy will donate $10 to Room to Read — a non-profit organization that seeks to provide girls in Africa and Asia with access to education. The IWSG asks members to Tweet and re-Tweet #IWriteBecause Monday, May 8! 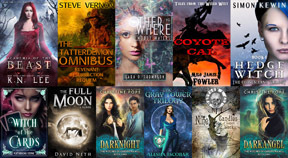 StoryBundle is a way for people who love to read to discover quality indie books written by indie authors. We take a handful of books—anywhere from six to nine—and group them together to offer as a bundle. Then you, the reader, can take a look at the titles we've chosen and decide how much you'd like to pay. This month’s bundle includes books from Milo James Fowler and Catherine Stine. Visit StoryBundle to see all the books. The A to Z Challenge is now over and today is for posting reflections on last month’s event. I participated in the first seven Challenges. But not number eight. I was on board as a consultant although no longer managing the Linky List, as there wasn’t one. From comments on the main blog, it looks like around 500 blogs participated this year. Last year, there were 1300. The year before that, there were 2000. With the changes in blogging, the participation has slowly declined. There was more emphasis on posting links on Facebook and Twitter this year, but it is still a blogging event. 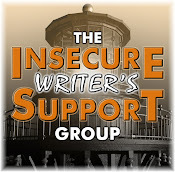 The Insecure Writer’s Support Group is now my focus and growing fast – our second anthology release, Hero Lost, Facebook group, Twitter, newsletter, Goodreads, #IWSGPit, and more. That is where I need to focus my attention. Anyone else see Guardians 2? Think Snowman movies are creepy? (I do!) What do you think of Dunkirk? Can you Tweet #IWriteBecause? And what were your thoughts about this past Challenge? Yeah, the snowman movies sound creepy. Didn't do A to Z this year, either. It was pretty relaxing, actually. Hi Alex - we missed you not participating .. but understand. I could have done the first year ... but wasn't in the right head space, and though last year didn't happen - it got moved to this year - I do enjoy the blogging aspect of the Challenge - not the social media side of it. Yolanda's "The Snowman" - I've got it to read ... but those movies ... I'd have never thought there were so many ... good luck to Yolanda with this book and promotion. Looking forward to seeing Guardians of the Galaxy 2.#IWriteBecause sounds like a great project. I never realized there were so many movies with snowmen in them. Alex, thanks for sharing about Yolanda's book and being a part of her tour. I didn't realize there were so many disturbing snowmen movies out there! The Reedsy project is a great cause. I'll recommend the new Guardians sequel to my kids! The Guardian will be on my bucket list since it comes highly recommended, yes! Was in the recent A to Z again but faithfully pursued limited no.of comments. It was less stressful than last year though. 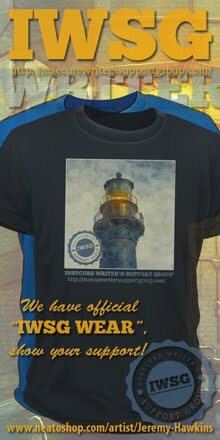 Perhaps the IWSG will be the focus this year following you. Good to know Guardians was awesome, will see soon, had to work tis weekend, ugg. Barely seen any of those snowman movies haha yeah, didn't see as many doing a to z this year either. As for GFC I jut take the link, go to manage followers and paste it in there. Usually shows up on gfc with that way. As for following through google +, hate that. Thanks, again Alex for letting me visit during the Snowman tour! Can't wait to see the new Guardians movie! I LOVED Guardians. I especially loved baby Groot. He definitely stole the show. Good Morning Alex, I was actually able to catch Guardians of the Galaxy #2 this weekend. You are right it was very good with many funny parts. The sound track was stellar. I too would highly recommend this movie. I believe you are focusing your attention where most needed and I wish you much success. The book bundle looks interesting and I will def check it out. Remember you are a source of light for others may it always be so! Congrats to Yolanda on her release. I haven't seen the original Guardians of the Galaxy movie, but people have told me it's great. I probably should watch that one first before seeing the sequel. Congrats, Yolanda. Snowmen are just plain creepy. I am Groot! He was so adorable in the film. I participated in a few A to Z Challenges, but not this year. But as a newbie blogger at the time, the Challenge helped tremendously in gaining bloggers!! I'd recommend joining the challenge to everyone. A big congrats to Yolanda. Her books are amazing!!! Looking forward to Guardians 2!!! Yes, those snowman movies look creepy. Congrats to Yolanda on her new book. It sounds like a page turning mystery. Not surprised to see the A-Z challenge numbers going down. I think blogging in general is going down every year. It's sad to me because it is such a better way to be friends with people than Facebook and Twitter. You can just say and do so much more. It gets harder and harder to make the effort to spend the time looking for new blogger friends. And yes, Google has made it harder to follow and track your followers. Glad to say that with all the slow down of blogging, I too am finding ways to expand my following through my book hops and agent spotlights. That cover gives me the chills - every single time...it's really creepy! The few snippets I've read on some of the tour hosting blogs have piqued my curiosity...great writing. The A to Z Challenge numbers have dropped? I'm not surprised. To me, it seemed as if there wasn't as much interaction amongst A to Z'ers, as in previous years. Though I have to also confess that I didn't get around as much as I did in previous years. Off to tweet for #IWriteBecause. Sarah, it was a relaxing April for some of us. Mason, happy to do so! Hank, it needs to be my focus now. Pat, thanks for the tip! Truedessa, glad you went to see it! Did having an early review help? Ellen, it would help to see that one first. Natalie, it is sad. I enjoy blogging the most. GOTG2 looks like my kind of movie. A killer soundtrack goes a long way toward selling a movie to someone like me. I also appreciate the technique that I refer to as "back stacking." When I put together a creative piece, I like to deliver a big payload at the end. Too many films have weak endings and viewers leave the theater mumbling and grumbling. A film with an awesome ending filled with surprises and twists sends readers home buzzing with excitement and spreading the good word to their friends. The trailer for Dunkirk is very exciting. Mrs. Shady is a war buff and I will be sure to tell her about this one. I'd already written my post for today before I realized we were supposed to reflect on the A-Z Challenge. Maybe next year it would be easier if there was only one place to post links (on the website) instead of posting both there and on Facebook. It seems like the Facebook thread never had as many links as the website anyway. Definitely far fewer comments this year, although I trailed off on commenting on other blogs myself as the month progressed. Writing posts is easy; the commenting part is harder for me. Rather than trying to scatter comments over many blogs, I'd rather find 5-10 bloggers who share my interests and engage with them during the month. Is there any way we can set something up to help us form such blogger squads? I was curious about the stats for the A-Z challenge because blogging has changed so much over the last year or so. Thanks for sharing, Alex. Social media is changing so fast it's almost impossible to keep up unless you spend hours and hours. I still enjoy blogging, although I've slowed way down on that as well. I'm hoping I can get to the theatre this week and see Guardians of the Galaxy Vol 2. It might actually be doable, too! Hi Alex the early review did indeed help! It made me more determined to find a showing. I totally enjoyed the film. Thank you! I can't wait to see Guardians 2. It looks so much fun. The challenge was a rough one for me this year, but I'm still glad I did it and will probably do it again next year. No list made it more difficult to find blogs in my opinion, but I'm not mad it wasn't there. I see the reasons for trying the challenge without it. Dunkirk was such an amazing moment in history. Such bravery and determination on the part of the civilians. #IWriteBecause seems like a wonderful cause. Hooray for The Guardians. I'm glad to hear it's works. Yolanda's list is great! There are a couple on there I hadn't heard of. I hadn't heard of the #IWriteBecause but will do Capitan. (pronounce cap-e-tan ;) ). I really want to see Guardians! Though I think the next movie I might get to see is Captain Underpants. (That actually looks fun and true to the books!) Yay for Yolanda! I love her books. I hadn't heard of the Dunkirk movie. That looks spectacular. Snowmen are creepy except the horse. Hope to see Guardians later this week. I did 6 A to Z. It really helped my blog grow the first few years and taught me a lot about blogging, but it also meant I did almost no writing during April. Guardians Vol 2... was a great continuation of the first, we didn't need the set up. It was like here are the characters now, the opening scene... I was hooked, hooked on a feeling. Ha! THE SNOWMAN book sounds amazing... I really need to get these types of books on my site... totally up our alley! A thousand years ago, when I considered myself an artist drew several drawings of a snowman story, which has nothing to do with this... just thought I mention it. I ramble... this week going to be good I hope. Yep, Guardians was great, but I think it tried a little much with the humor. Some of it seemed a little forced. Dunkirk looks good except for the part where this is Nolan trying to prove he's a serious director by making a WWII movie. Haven't seen the movie but love the Guardians of the Galaxy title! I participated in the Blog Challenge and was happy that it inspired me to write about my paintings. Thank you, Alex, for all you have done and do to promote writing activities for so many!!! Thanks for sharing the StoryBundle, Alex! Agree 99% with your review of GOTG2. 99, because I thought Drax outshined them all, even Baby Groot. :) He was absolutely hilarious. Birgit, hopefully they are mentioned. Bring a flamethrower - funny! Shady, that's directed by Nolan is a really good sign. Sandra, maybe that's something participants can do on their own before the Challenge begins. Truedessa, I'm glad it helped sway you! Susan, I know the feeling! Jeremy, the soundtrack is half the fun. Thanks for the suggestion of King Arthur. And it is amazing to see the growth of the IWSG. Andrew, he's already proved he's a serious director. Milo, you're welcome! Cool idea. George, they really let him go with the humor. Good news on Reedsy donating in such a wonderful way and partnering with IWSG. The Snowman sound super creepy. Love! I'd probably pass on "Guardians of the Galaxy 2," but the wife wants to see it. And finally I enjoyed the A to Z posts I read. I stuck with my normal faves. I saw Frosty, but never thought about the fact that he had legs. Eh. Doesn't creep me out. He's too happy to be creepy. I'm not sure if I'll do A to Z again unless I'm ready to use it as an opportunity to promote something as in giveaways or cover reveal. I think spending 26 posts about a writing project is risky, although Yolanda did a terrific job. Her posts were informative, entertaining, and they promoted her book without becoming stale over the coarse of the month. I love a good Christopher Nolan film, and Dunkirk does look pretty intense, but I'm just excited for Guardians of the Galaxy 2. Will definitely be seeing that this week. We're proud of everyone who was involved in A to Z, but nowadays we just make that a light month and only post twice. We can't kill ourselves trying to make a comic every single day, just to get a few extra comments. We still make it our mission to seek out new blog friends, so we'll get to them eventually! GFC be damned! Great to see Yolanda here. Wish her all success with the new release! And I had no idea there were so many Snowmen films, goodness! The Dunkirk clip looks interesting. A-Z Reflections done. You were missed at the Challenge! All the previous years that I have participated I've never visited an A-Zer where you hadn't been/commented before me :) Also, this space here has acted like a major communications hub for the challenge, highlighting the follower blogs etc, even when you did the 'lite' version last year. Thank you for all you do for the community, active and away. Appreciate it truly! Appreciate your thoughts about A to Z here and in your consultant role. Everything with A to Z seemed so much easier this year without the Linky List though with a better list as I've mentioned in the past I think we'd be able to please more folks. I do think the nature of the blogging community has changed in recent years. Checking back on some old A to Z participants it seems that many of them no longer have active sites or have allowed their blogs to go dormant for the most part. Possibly a new A to Z recruitment drive will be necessary to regrow the Challenge although A to Z seems to still have a strong community in India which is interesting. We'll see what can be done in months to come. Thanks again for all the assistance and support you've given to A to Z.
Congrats to Yolanda! I'm going to see Guardians of the Galaxy 2 this coming Saturday. Glad to hear it was good. I'm guessing there are worse concepts than a flying snowman, but I can't think of any at the moment. Congratulations, Yolanda! Fun build up. Be well, Alex. Thanks for all the usual things. The "Guardian" movies sound right up our alley. We watch a bunch of animated movies, whether we have any of our grandchildren with us or not. We just LIKE 'em. It's awesome to realize Guardians of the Galaxy has top trumped so many movies out there. Its contemporary mix of characters has definitely taken root, even groot is back! A to Z was an exciting success for me in the sense I've discovered how to reach folks through Google plus but I have a dilemma if I merge my blog with Google plus I lose my blogger profile! GotGVol2 was so much fun! Loved it! I really want to go again! I'll have to check out StoryBundle. I'm skipping all the Snowmen flicks except Harry and Snowman. I need a good-feeling story. I won't skip Yolanda's book, though. Joanne, that might've been it. Just shy of the first one. Tamara, she did it right. It's so easy to do it wrong. Brandon and Bryan, I only ended up posting twice last month. Nila, thank you! Nice to know I was missed. Lee, appreciate being a co-host all those years. Spacer Guy, that's why I haven't done it yet. So hard to find people's blogs through Google+. Lee, life has a way of doing that. Are there still people who don't know that you're supposed to sit all the way through the end of the credits? I have Yolanda's book - and it is demanding to be moved higher in my unread tower. As a non participant I enjoyed several of the A-Z challenges this year - and am in awe at the work involved. PS: GFC is still working for me. Generally the second attempt. I can't wait to see Guardians of the Galaxy. We're waiting for Caleb to come home from school so we can all see it together. The only Snowman movie I remember fondly is "The Snowman" from a book written by Raymond Briggs in 1978. It became a movie, with lyrics by Howard Blake, "I'm walking in the air". Awesome. We saw Guardians 2, and had a great time. Each actor had enough face time to demonstrate their characters. Loved little Groot. Dunkirk, sigh. See "Mrs. Miniver", with Greer Garson and Walter Pigeon. Glad you got something about the challenge. That's very cool. From my point of view, the entire thing became militant and boring. The fun and adventure (from a reader point of view), long gone. I had to whiz past your review of the movie because I haven't seen it. I won't even watch trailers. Much luck and success to our friend Yolanda. JE, I was surprised how many left early! Elephant's Child, I wish it would work for me. Susan, that was the nice part - each character had time onscreen. Ivy, it lost the fun for me. The A to Z may have shrunk, but I had an awesome good time this year! I will tweet! Glad to hear positive views on Guardians. #1 was a hard act to follow. Your experience with GFC is sad to hear. Google+ is simply no alternative IMO. I'm surprised you're finding you can no longer follow, though. I just last month started a new recipes blog and a handful of folks are following through GFC so it must still be working. The problem I now encounter is when people comment and I click on their profile Google is making it ever harder to find their blogs. It's as if Google doesn't want people to network. IWSG sure has grown and branched out. I'm in their Facebook group and they are always their to help the insecure. Looking forward to their next release. Poor Frosty - so misunderstood. :) Just kidding. I've always been partial to Calvin and Hobbe's Killer Monster Snowgoons. I will definitely tweet #IWriteBecause. And, I realized that with my health issues I couldn't participate in the challenge. I'm just beginning to feel good enough to get back to regular blogging - and I'm still on a haphazard schedule. Next post will be this Wednesday and then ... another one after that in 10 days. Not sure it makes sense, but that's the way life is these days. I had no idea there were so many snowman movies! Who knew? Forgive a dumb question, but what's GFC? Birgit - a flame thrower is a great idea! Thanks, H R - until I did the research I had no idea there were to many! Thanks, Christine - you rock! Susan - I find them creepy too - but a good name for a horse! T. Powell - Thanks, I'd forgotten for a moment my snowman was creepy too! Thanks, Joanne - luck will help! Fingers crossed! Tamara - His voice more than anything creeped me out! Hi, Nila - me either - WOW! Hi, Susan, you're right, Stowy is a CREEP! Liz - good question! I think the story about the horse wins that one! Thanks, Erika - yeah, even the cartoons are a bit creepy! Thanks, E. C. - really cool! Susan - a very nice memory - that counts! Thanks, Ivy! Appreciate your support! I'm looking forward to seeing Guardians of the Galaxy 2 for sure. The sequels are never as good as the originals, but in this case, I'm sure it will be close enough that I'll be glad I went. I wasn't able to participate in A to Z this year, but I tried to visit a few new blogs through the Facebook links, and found a couple I really enjoyed and ended up following. I'm looking forward to going through more of them at a leisurely pace to see if there are any gems I need to follow. Perfectly true Alex Snowmen don't last forever. Your absence was missed with the A to Zthis year. I have much to be grateful for that challenge otherwise I would not have met a special "Blogging Buddy". I enjoyed doing it although missed the "Linky List." Dunkirk has the potential to be incredible. I love Nolan as a director and adore civilians trying to rescue soldiers in such a dire situation. With those actors and Zimmer's score, it should be something special. Also interesting to have Nolan outside genre film for once. And Guardians 2 was fun! I liked Nebula, Drax, and Mantis a great deal. Had more fun than I did with the first one since it wasn't quite so focused on Chris Pratt. I'll likely see Guardians 2, but Dunkirk is definitely my type of movie. I checked out the Room to Read link and am making a donation. Thank you for shining a light on this solid, good cause. BTW, this is an especially rich post today, Alex--so much that's very good in it. My daughter went to see Guardians at the weekend and reported back that it was great! She also told me she cried! Can't wait to see it. I love the idea of the Bundle books. Congratulations to Yolanda. I've bought my copy! Big fan! Have a super week, Alex. Best wishes. Yolanda, all this snow here in May! Good luck. There are definitely some creepy snow movies and books out there. I have yet to see Guardians of the Galaxy too. I've heard great things about it. Got to get on this! I had NO IDEA there were so many snowman movies! WOW...can't believe participation in A to Z has dropped off that much. I wonder why?! It's not just IWSG...I stopped participating in most linkups because people just don't read other people's blogs. Even when you read theirs. These days, I have to read probably 50 blogs to get one new reader. It's crazy! Nice to see Guardians 2 doesn't disappoint. I did the A - Z this year, second time for me. Even though I didn't write most of the blogs, the effort is still pretty intensive. I picked up a few new followers and traffic was steady but not overwhelming by any means. Will probably pass on the next round. Ian, I just tried again this morning and I still get an error message. Tyrean, those are the best! And you just have to go with what works for you. JH - Google Friends Connect. John, I think Nolan will do a great job with the story. And the second Guardians did good expanding with the other main characters. Nicola, my wife cried as well. Stephanie, that is crazy. The IWSG does well because we don't rely just on the blog hop. I read a lot of books about WWII and watch the movies too so Dunkirk will be on my list. The A to Z project was awesome, but perhaps it has lost its glitter. Change has a way of forcing itself on us. I still follow a lot of the blogs I met through the challenge, but mostly it's ones I can sign up to receive via email. Guardians 2 was fun, but not nearly as good as the first one. Seems to me they spent too much time setting everything up at the beginning, instead of letting it come together naturally as the story progressed. My daughter, of course, loved it. Wow. Lots of info on this post. I bet Guardians does pop in 3D! Congratulations to Yolanda. Hope you are doing great, Alex. So many snowman movies . . . got me thinking now! Excellent about Reedy and AtoZ. I barely have time to post 2x a month these days. Woots to those who made it. Guardians 2 ROCKED! I already downloaded the soundtrack. I don't think I've laughed out loud that much at a movie in a long time. Had to go IMAX 3D! Plus a Thor 3 and Last Jedi trailer. Who could ask for more? As for GFC, I am WordPress and lost it so long ago that I had to stop and think about what it was when I saw the initials. And the AtoZ, I have done five and also skipped it this year. Both my girls had surgery this year for different things, and in January when it was time to think about it, it was beyond me. There is just so much to read and enjoy in this post, sadly I don’t have the time today so I’ve bookmarked it and will come back and read more over the next few days. I'm looking forward to watching Guardians of the Galaxy 2! I hope to get to see it in the theater even. 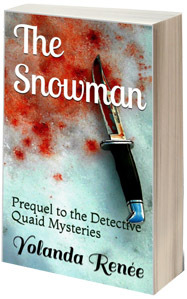 The Snowman Series sounds intriguing especially Harry & Snowman. Have a productive day and pleasant evening, Alex. Hi Alex! Thanks for the review on Guardians of the Galaxy Vol. 2! I can't wait to see it! I have to make sure to stay till the very, very end! LOL! I didn't know there was so many Snowman movies?? And, yes, I think they are creepy! LOL! Hope you're having a great week! Congratulations, Yolanda. I thought snowman movies should be fun, not scary. Haven't seen any of these, but Frost the Snowman wasn't bad, was it? Or have I forgotten? Patricia, I think it has lost something. Leslie, we couldn't ask for more. I saw Guardians and LOVED it. I had only recently saw the first one on DVD, and I think the second may have been even better than the first. Either way, they're both great. But it was epic seeing the 2nd one on the big screen. Great soundtrack, I agree! I've seen the Michael Keaton film and it definitely gave me the creeps! The Snowman and the Snowdog (and original movie) could never be creepy, though. They're Christmas tradition in our house! The A-Z Challenge does seem to be shrinking, but I hope it continues on as it's still a great way to get to know other bloggers and it's still fun. Missed your participation this year. I couldn't have named ten snowmen movies, much less picked my favorite. But I definitely have Guardians 2 on my gotta-see list. I found your comments on the A-Z Challenge and blogging in general very interesting. I've been pondering if trying to grow my blog is worth more energy/focus or if I should be looking in another direction. Yolanda: Congratulations - your cover is fantastic! Alex: I had the same issues you did with commenting on Blogger and am running into the same issues with my new site. It's getting harder to track people backwards by their name/profile. I don't want people to think I'm not trying to find them, because I am, I'm just unable to with with so many platforms. Late this week but here! My family loved Guardians of the Galaxy 2. Congrats to Yolanda (sounds creepy!) Darn, I missed the #IWriteBecause. And loved the trailer. This year, there were some pretty neat A-Z challenge ideas, and I enjoyed popping in on folks when I could. Some snowman movies are creepy. I do like the idea of a yeti though...but I'm kind of weird. I haven't seen the first Guardians yet! Should probably steer clear of the second one until I do. Dunkirk looks beautiful but I can't watch movies like that. I cried in the preview! But I love, love, love Kenneth Branagh. I'm trying so hard to organise my Guardians of the Galaxy trip, but other people keep getting in my way! Congrats to Yolanda. I didn't even know there were 10 snowmen films! Interesting stats about the A-Z. I had no idea what the numbers were like each year. I know I always enjoy reading all the posts! GFC was giving me an error message for a while too and I couldn't follow blogs. It is back to working for me, but I am not sure what the problem was/is. Trisha, they are awesome films! Thanks, Nick. I just can't do it anymore. LD, it's still worth it! It's just different now. Jen, you do need to see the first one. Annalisa, tell them it's a matter of life and death that you see it! Jess, I'm going to keep trying. You've convinced me to see Guardians. Maybe I'll drag my son with me now that he's home from college for the summer. Room To Ready sounds like a very worthwhile project. Hi, Alex! As always, your post is filled with interesting things. I definitely plan to see GotG2. I've been on the beach at Dunkirk. It was a powerful and poignant experience. I'd like to see that movie too. I don't have a twitter account, so I don't tweet. I wish our president would stop tweeting! I have no clue what GFC is. I don't do the A to Z because it would push me over the edge ~ LOL But I certainly enjoyed reading many interesting posts. Have a good week! I just saw Guardians last night and I only have one thing to say. We saw Guardians yesterday fun flick to watch. Loved the scene where rocket was asking for tape. Yay for Yolanda! Also, WTG, Milo and Catherine. Being included in a bundle is a great accomplishment. I've been so out of the loop. I totally missed, IWriteBecause. Have seen Guardians yet, but I have a date to see it this weekend. Yes, snowman movies are weird. Story Bundle and Humble Bundle are awesome! 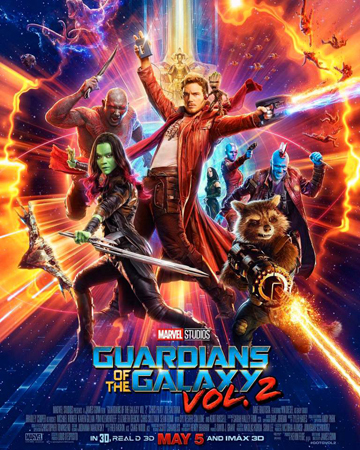 I'm looking forward to watching Guardians 2 but will wait until it's out on demand so I can watch it at home.